Union Free Public Library – Welcome! Our hours are: Monday 1-4 pm, Wednesday 5-8 pm, and Saturday 9-1 pm. The library’s annual Plant Sale Fundraiser will be going on throughout the month of June. Stop by and peruse our selection of plants generously donated by Rock Meadow Farm and Select Seeds of Union, CT. A huge thank you to our generous donors! If you attend the plant sale when the library is not open, you may leave payment in the provided envelopes (located in the entryway to the right of the front door) and drop your envelope in the white book-drop located on the front walkway. It is with great sadness that we announce the passing of a dear member of the Union Free Public Library community. Jackie Capomacchio served the community on the library’s Board of Directors, and was a founding member of the local book club. She loved to see children enjoying the library, and is fondly remembered as having attended the library’s annual Halloween Party dressed as Little Bo Peep! She conducted herself with great class, conviction, and grace. We admired her personality, and held her opinions in high regard. Even in the midst of her struggle with cancer, Jackie was always willing to assist and advise her friends. We thank her for all she has done for us over the years. She will certainly be dearly missed. Judge Tim Keeney was elected Probate Judge for North Central Connecticut almost seven years ago. The district includes the towns of Enfield, Somers, Stafford, and Union with a total population of about 72,000. Tim will speak about the importance of a living will and the designation of a health care representative and conservator. The work of his court includes wills and trusts, conservatorships for those with dementia, termination of parental rights, civil commitments, adoptions and the appointment of guardians for the intellectually disabled. These can be some of the most delicate and challenging matters one may face in a lifetime. Judge Keeney’s talk will last about 60 minutes with time for questions and answers, and will include Tim’s experience as a leader of the Apollo XVII and Sky Lab recovery missions in the Pacific Ocean from 1972–1973. Judge Keeney is also a retired U.S. Navy SEAL Captain with over 35 years experience during active duty and Reserves. Summer Reading is here again! You may log your books online (click the Summer Reading tab to be redirected to the online book log – launches June 10th at 1pm) or you may come to the library to pick up a paper book log. Thank you so much for continuing to support the efforts that Kathy made to educate and inspire children of all ages. She will be dearly missed! Attention patrons! The library will be closed Saturday the 18th through Saturday the 25th while further renovations are done to the library building. All late fees accrued during this time will be waived. Thank you for your patience! This Wednesday the 26nd of October, join us for an evening of fun at the UFPL. 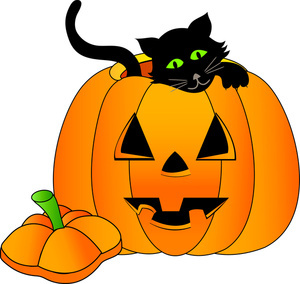 We will play games, make some Halloween crafts, read some spooky stories, and enjoy some lovely fall treats. Costumes are encouraged! Party will run from 5:30 to 7:30, drop in anytime!